Don’t worry, you won’t be bombarded with irrelevant job updates. 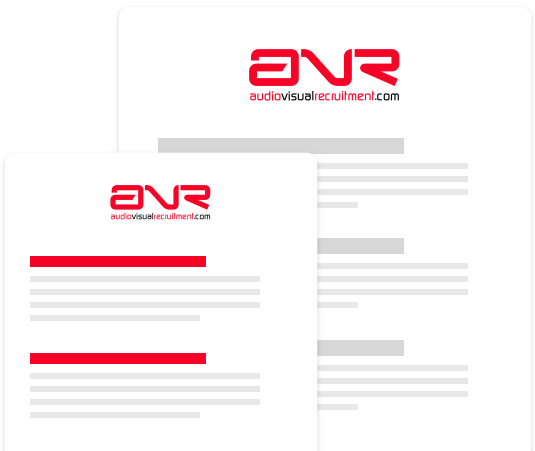 Our Audio Visual Vacancies site only advertises positions that are targeted at the niche AV sector. If you are ready to make a change and progress within the Audio Visual industry, sign up for our job alerts and be one of the first to hear about new positions as they are uploaded. Alternatively, send us your CV along with your brief requirements and we will get in touch as soon as we find a match we think you would like to discuss.